The Resort of Puerto Rico is a popular holiday destination for a wide variety of holidaymakers whilst Playa Amadores tends to cater for holidaymakers seeking a relaxing holiday. Both resorts offer a variety of hotels, many of which can be booked on an all-inclusive basis. The majority of these hotels operate to high standard, however a lack of care in respect of food preparation, food hygiene or general cleanliness can lead to potentially severe illnesses, including campylobacter, E coli, salmonella and cryptosporidium. These illnesses can manifest themselves with symptoms of diarrhoea, sickness and stomach cramps. They can ruin a holiday and on occasion, can lead to long standing illnesses such as Irritable Bowel Syndrome. If you have travelled to Puerto Rico, Playa Amadores or any other resort as part of a package holiday and suspect that you have suffered from illness due to poor hotel standards then contact us to see whether you are entitled to claim compensation. Package Holidays are regulated by the Package Travel Regulations 1992. If you booked a holiday with a tour operator, such as Thomason Holidays, Balkan Holidays, First Choice, Airtours or Thomas Cook then the chances are that your holiday will be a regulated package and that we can assist you. If you are not sure whether your holiday was a regulated package we can provide free and professional initial advice. Puerto Rico and Playa Amadores – Hotels impacted by illness! Puerto Rico and Playa Amadores are specially constructed holiday lactations and both offer man-made beaches and typically hot temperatures, even during winter. The hotels below are monitored for signs of illness that can be contracted by the consumption of contaminated food, undercooked food, poor sanitary conditions or the provision of dirty or poorly treated swimming pool or spa water. Cryptosporidium Fact: Cryptosporidium can be located in areas that have been contaminated by the presence of human or animal faeces. The consumption of contaminated water or food may cause infection. Swimming in contaminated water can also lead to the illness being contracted. Simpson Millar has a dedicated team of holiday illness specialists that are ready to provide you with honest, straight talking initial advice. They will consider the circumstances of your illness and advise you as to whether you are likely to be entitled to compensation. 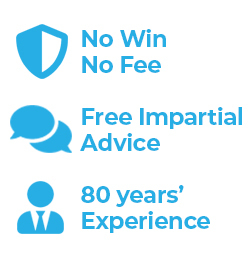 If so, we will provide you transparent advice regarding funding and in the vast majority of cases will be able to assist you on a “No Win No Fee” basis. To see whether you have a valid claim for compensation - contact us today by calling 0808 145 1353 or by submitting an enquiry via our website.